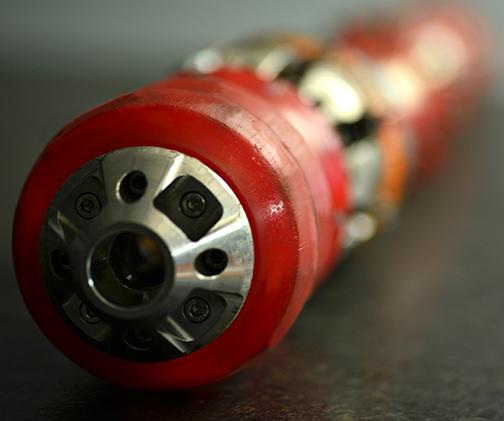 ENTEGRA’s small diameter combo tool’s have been engineered and proven to address and solve In-Line Inspection challenges Operators are facing with other tools on the market. These tools boast Ultra High Resolution MFL, Caliper and IMU data capturing coupled with their back to back 1.5D bend passage capabilities and unmatched collapsiblity while being able to determine internal and external metal loss. The next generation of MFL is here and ENTEGRA delivers it via a tool fleet with unmatched navigability. 4in EHR/CAL/IMU: ENTEGRA’s 4in specifically addresses challenges that no other tool of its size and class can address. Proven in low flow pipelines <190psi with back to back 1.5D bends, we are able to inspect successfully and deliver a final report in less than 45 days including the Ultra High Resolution MFL, Caliper and IMU data package. Previous Entry:Join us at PPIM. FREE guest pass here. Next Entry:Canada Pipeline News: ENTEGRA Opens New Operations Facility.